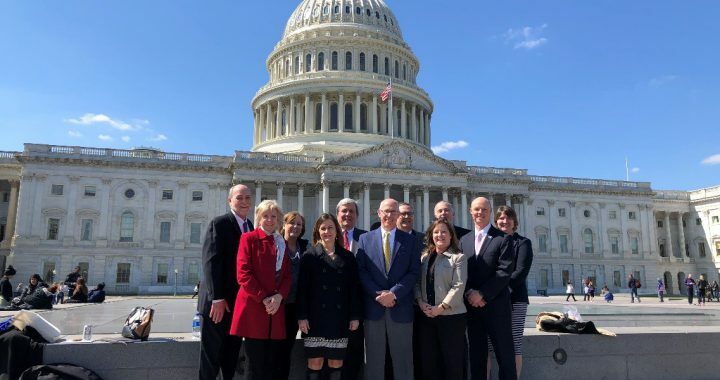 The conference offered an opportunity for DDAA and NADO members to come to the Nation’s Capital to gain valuable insight into national issues and learn about new federal policy priorities, while still focusing on building strong regional economies and communities back home. The three main topic areas that were covered at the conference included rural broadband, entrepreneurship, and substance abuse and its impact on the workforce. While there, a group of Virginia PDC directors, VAPDC president and VAPDC Director met with several of Virginia’s congressional staff and legislative aides at the Capital. This meeting was an opportunity to highlight some of the projects and programs in the PDC regions and leverage future federal investments and support for these programs.